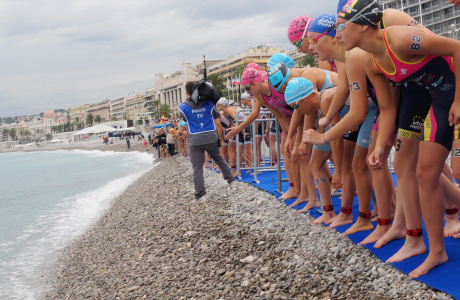 For a triathlon, the active system will be used. The "USB Timing Box" is placed at the finish and is connected to your computer. Two "LoopBoxes" are placed at the entry and exit of the transition zone and take the split times. 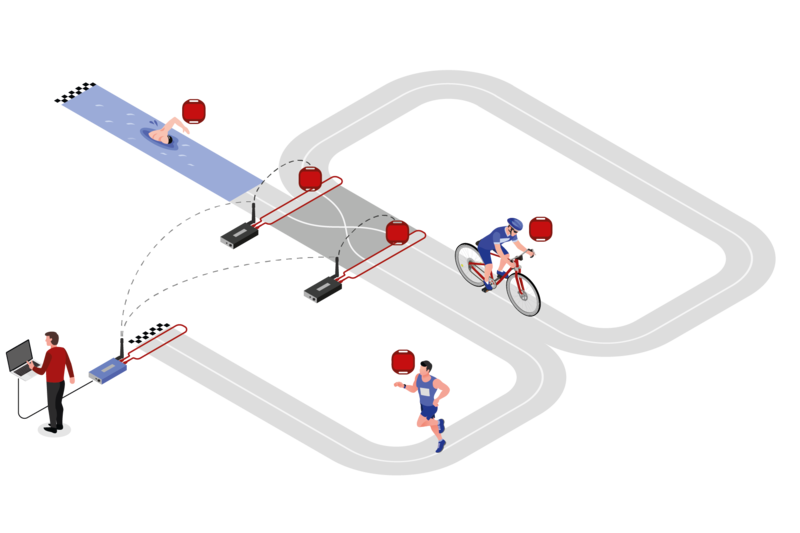 They are connected wirelessly to the "USB Timing Box" at the finish line, so that all split times can be reviewed live on the computer. Log in on raceresult.com, create your event in race|result 11 with the template "Triathlon" (the race|result 11 Introduction helps to get started) and activate the online registration.